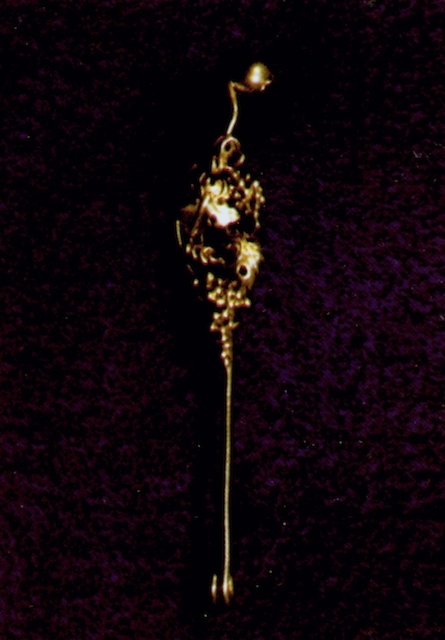 Karlin EZ (2004) Jewelry & Metalwork in the Arts & Crafts Tradition. Atglen: Schiffer Publishing Ltd, 2nd rev ed. ISBN 0764318985. 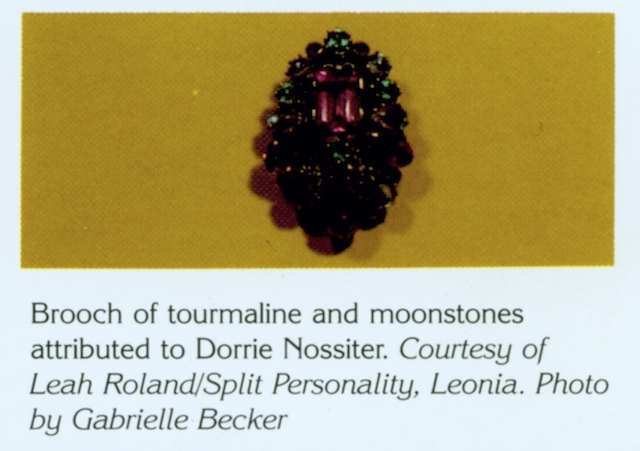 Karlin's book is in some ways unique as it is the first publication I have come across that has mistaken a piece of jewellery designed by Sybil Dunlop as a piece by Dorrie. 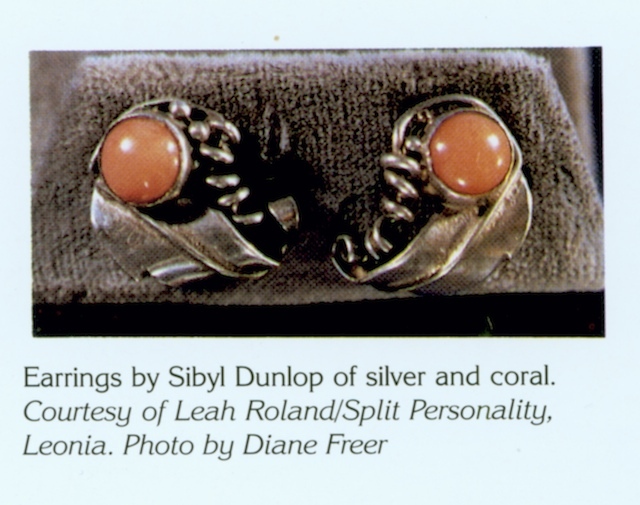 However, this publication also misattributes 4 pieces to Sybil Dunlop that are pieces designed by Dorrie Nossiter. 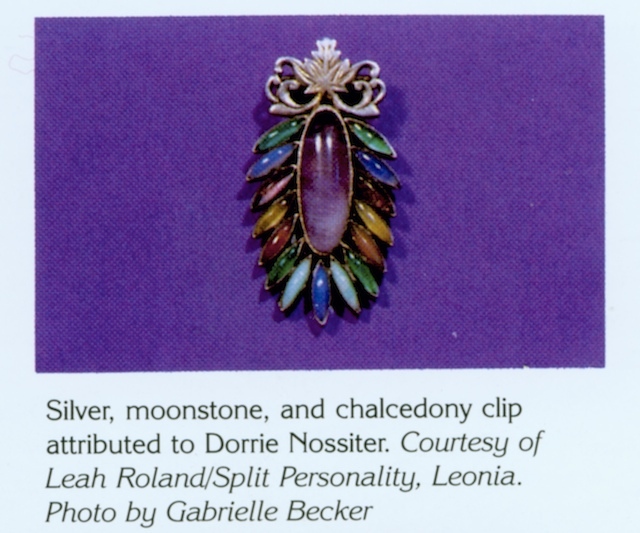 There are also one or two other pieces in the book in the Arts & Crafts style that may be Dorrie's but as with many cases it is difficult to decide on some pieces in view of the range of styles Dorrie created again only further research will clarify such issues. 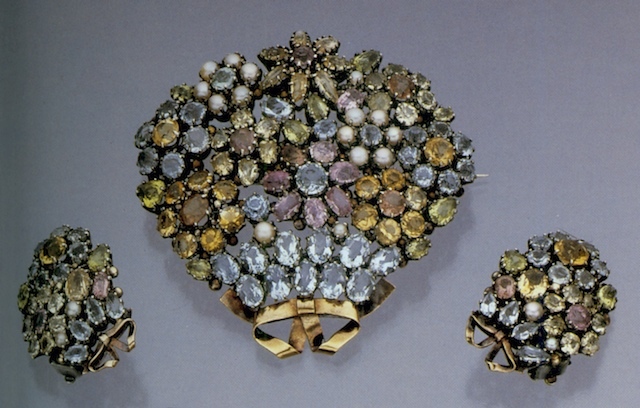 The brooch opposite is clearly by Sybil Dunlop for the choice of colours, elongated cabachons and stylised leaves at the top and its symmetrical design which is very much a characteristic feature of Sybil's work. The range of jewellery below are all pieces by Dorrie Nossiter the basket of flowers brooch and earring set with bows underneath being the only one correctly identified, although the date given of 1930 is probably incorrect as bows were more common in Dorrie's later work dating to post-war work in late 1940s and early 1950s. 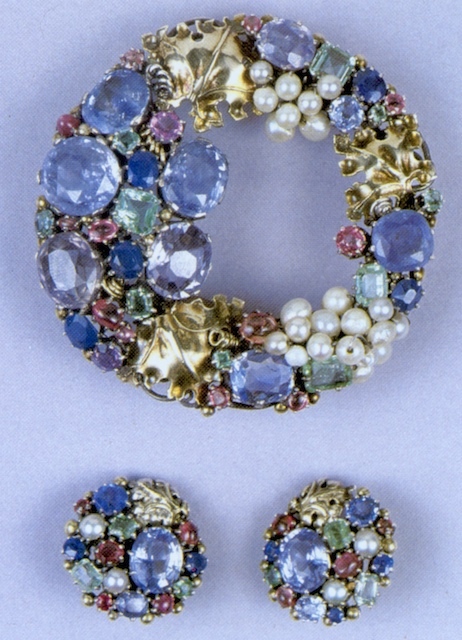 The circle of vine leaves, pearls and facetted stones is incorrectly identified following on from other misidentifications of this same piece.